WPF Viewer for Reporting Services is a native WPF component offering the ability to view reports generated in Reporting Services in WPF applications. It represents the report in XAML format to make it easy to add the control to any WPF app. 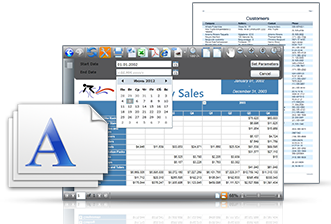 Export to most popular formats: PDF, HTML, Excel, XPS, RTF, etc. 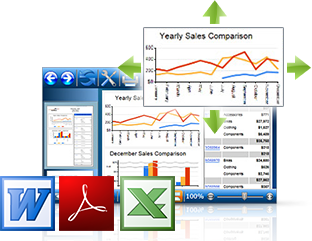 WPF Viewer for Reporting Services is completely customizable. Developers can setup viewer appearance to fit corporate style. The product can be easily localized to any language to address cultural needs.